Release of Information ROI+ ROI Plus, Healthcare | Computer Image Systems, Inc.
Computer Image Systems, Inc. has partnered with ABT Global to provide a unique Healthcare solution for the Release of Information (ROI). ROI+ is the only truly automated workflow software solution for processing requests for release of Protected Health Information (PHI). ROI+ requires less than half of the staff currently utilized by Healthcare providers and ROI service companies to fulfill any given volume of ROI requests. 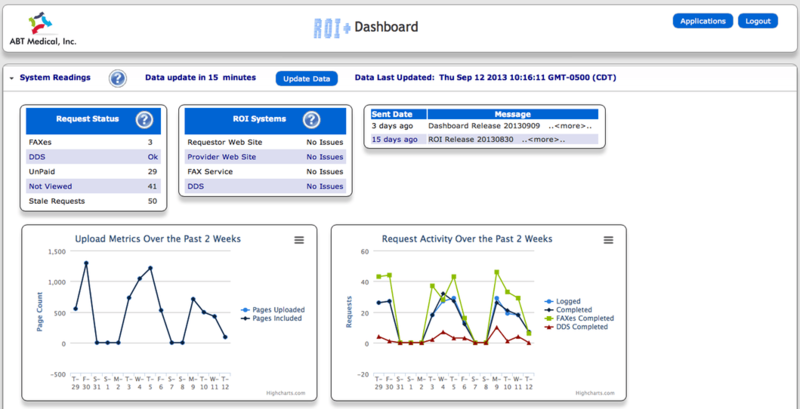 A new module has been added to ROI+ for the fulfillment of disability requests. ROI+ / ERE-Xpress module not only delivers disability request fulfillment content seamlessly but also ensures that all disability fee payments are posted to the ROI+ client’s ERE account automatically. ROI+ has streamlined and automated every step necessary to facilitate ROI fulfillment while exceeding all HIPAA compliance requirements. ROI+ enables users to verify Requestors, track fulfillment status, collect all specified content in a digital format, correctly invoice and deliver ROI content through a secure web portal to requesting entities. We currently have three distinct ROI offerings. 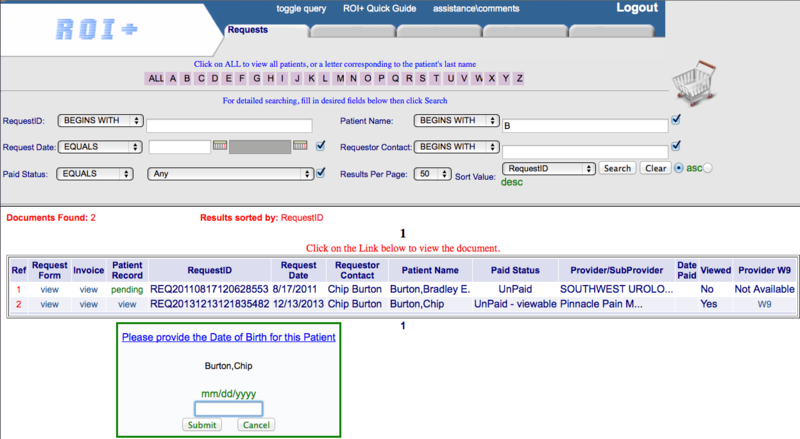 ROI+ Total Care CIS provides the personnel for fulfilling Release of Information Requests utilizing ROI+. This on site solution provides the staff required to fulfill various requests while providing your management staff with real time status of all ROI activity. ROI+ Remote Service Your facility provides us with a secure, remote access to your EHR and the entire Release Process is completed in our Merchantville, NJ facility. Why did we develop this new feature? Reduces your staff’s time and effort to communicate with patients. This system uses secure automated text alerts and electronic delivery to reduce inbound/outbound communications with patients. Uses patients’ preferred method of communication. People overwhelmingly prefer to receive alerts by text and to access the internet via their smart device. Increases patient satisfaction. Patients have expressed their gratitude for the text alerts and for being able to pay for and view their requested documents through the convenience of their smartphone—anytime, anywhere. Uses the most flexible and convenient technology. Putting requested PHI (other than imaging) on a CD is actually a major impediment to the patient, as it requires access to a computer (with a CD drive). Dispels myths about your patients. Patients are not “behind the times.” Patients of all demographics have cell phones and text messaging, and they use our system successfully every day. Answering a few basic questions can help us determine which model best fits your organization. Please download and fill out our questionnaire.